But in what sense does the Divine Sophia fall, and in what manner does she redeem herself, and humankind along with her? These questions lead to the little-known Gnostic theory of the sacred earth. Sophia, the Wisdom goddess, figures centrally in the Gnostic books dated to the 4th century CE, discovered at Nag Hammadi in upper Egypt in 1945. She also appears in the Old Testament Wisdom literature, called sapiential writings, dating from the 4th to the 1st centuries BCE. Although the sapiential writings predate the Nag Hammadi codices, the divine figure of Wisdom does not derive from them. The Gnostic Sophia is a version of the Great Goddess celebrated all through the ancient world, not exclusively or originally in Jewish tradition. Yet the Jewish sources provide some important clues to the Gnostic scenario. The apocryphal Wisdom of Solomon (9:8-11) says that the Divine Sophia instructed the king in how to construct the Temple of Jerusalem. In her honor, Solomon erected in the inner sanctum a sacred tree, symbol of the Canaanite goddess Asteroth. Following the reforms of King Josiah (after 650 BCE), Jewish scribes rigorously deleted references to Asteroth, but she continued to be viewed as Jehovah´s consort in popular religion and Gnostically oriented Jewish heresies. In the doctrinal battle over the Divine Feminine, the Wisdom literature plays a key role, showing how the lines were drawn. The figure of Sophia could not be eliminated, but it was increasingly distorted. In the Biblical canon, the “Wisdom of God” became a vehicle of didactic, moral, and poetical expression, and the goddess lost her autonomous character. In the Psalms and Proverbs, she figures as a metaphor for the voice of conscience obedient to the righteous dictates of the Lord. In the Song of Solomon, Wisdom retains the character of the sacred prostitute and lover of the king, who sanctifies him with the power of the Divine Feminine. In moral and sensuous terms, Sophia survives, but just barely. The Lord possessed me in the beginning, before the works of old. I was set up from everlasting, from the beginning, or ever the earth was (8:22-23). The full passage is a mere nine verses, but it discloses a key element of the Pagan Sophia myth: “or ever the earth was.” This phrase shows that the Wisdom goddess pre-existed the earth, even as she comes to be identified with it through the aretology that declares her terrestrial attributes. Proverbs 8 intimates that the Divine Sophia is a pre-existent divinity that becomes embodied in the earth—an assertion to be fully developed in the Gnostic scenario of the fallen goddess. This passage asserts the divinity of the earth as flagrantly as any to be found in Judeo-Christian tradition, a tradition that is fundamentally averse to such statements. Jewish religious writings praise the earth as a showpiece of the father god´s creative power, but following the prerogatives of Josiah, it was heresy to allow the sacredness of the planet in and of itself. Yet the passage above implies that the earth is divine, not because it is the well-fashioned artifact of the paternal creator god, Jehovah, but because it is the very embodiment of his suppressed consort, Sophia.This distinction recalls the premise of deep ecology, namely, that the earth has intrinsic value of its own, regardless of its use for humanity, and (I might add), regardless of how it serves religious beliefs that insist on paternal omnipotence. The Solomonic hymn to Sophia anticipates the little-known Gnostic narrative of the fallen goddess. This myth was the centerpiece of the Pagan Mystery tradition in which the gnostikoi, “those who know divine matters, as the gods know,” were the founders and directors. Over a century ago, G. R. S. Mead observed that “Gnostic forms are found to preserve elements from the mystery-traditions of antiquity in greater fullness than we find elsewhere,” but this opinion has been ignored by scholars who find in Gnosticism only the cast-off elements of early Christian views. Consequently, there has been little or no interest in recovering the complete Sophia myth that formed the sacred narrative of the Pagan Mysteries. This is not an academic problem, but a crisis of human imagination—a crisis clearly indicated in the myth itself, as we shall see. To the Gnostic masters of the Mysteries, a sacred theory of the earth required the power of imagination, or, one could say, applied imagination, so that humanity could participate actively in the life-story of the fallen goddess. Even the scant elements in the sapiential writings sketch the way toward this sacred vision, but the Gnostic Sophia story attains the full-blown expression of an interactive planetary myth. Christ belongs to history; his rivals were mere myths. Clearly, there occurred with the advent of Christianity a deep shift of consciousness which severely damaged the mythopoeic powers—far more so than was the case even in Judaism. The history of Biblical writing before the Common Era, and the subsequent war on Gnostic heresy waged by the Church Fathers, show the immense effort it took to deny the sacred origin of the earth recounted in the myth of the fallen goddess, Sophia. The fact of the sacredness of the earth depends on the faculty to engage it, the cognitive capacity to know Gaia with insight and empathy. The myth itself asserts that the Divine Sophia gave humanity the gift of imagination, " The Luminous Epinoia " so that humans could participate in Her Story via creative or imaginal thinking: “The luminous epinoia was endowed in humanity, for this is the one power that was to awaken its thinking”(NHLE 117.21. Hereafter cited by page number and codex page, indicated in bold in the NHLE). The sacred myth of Sophia is interactive and transhistorical. The heresy condemned by the Church Fathers is not, and never was, a mere matter of academic argument. It is a flashpoint for imaginative engagement. The repression of the Divine Feminine is a fact of history, and it is also part of Sophia´s mythic biography. The powers ranged against human imagination are clearly described in the myth. According to the Gnostics, Sophia´s redemption depends on humanity´s empathy with Her story, the unique myth that describes the goddess who existed “or ever the earth was.” In the Mysteries, Sophia was the name for what we today call Gaia, but before Gaia became the sensous, inhabitable earth. Textually, the myth survives in two parts: in the Nag Hammadi codices and the polemics of the Church Fathers, written to refute Gnostic teachings and condemn the Mysteries dedicated to the Magna Mater. Cosmological books such as the On the Origin of the World and The Tripartite Tractate describe how Sophia, a divinity (Aeon) in the company of the Pleroma (Divine Fullness) of super-terrestrial gods, longed to be involved in the active manifestation of external worlds (110.9-10). Gnostics taught that Aeons do not usually cross the cosmic boundary, called the hymen, through which they emanate the raw potential of material worlds. They remain centered in the Pleroma, the cosmic matrix of infinite potential. But Sophia was an exception. The myth emphasizes Her desire to engage in a world-in-the-making—but not just any world. Curiously, the world that Sophia anticipates will only come into being through Her own metamorphosis. Such is the odd fate of the fallen goddess. The Aeons work through ennoia, intentionality. They project the seed-form of a sentient world from the cosmic matrix, and then allow it to unfold by itself, to be self-generating. The word autogenes in the NHC is close to the current notion of autopoesis, widely discussed in the context of the Gaia hypothesis proposed by James Lovelock and Lynn Margulis. The Sophia myth resonates with Gaia theory, but situates the autogenetic principle in a preterrestrial event. Before the earth existed, Sophia and another Aeon, Christos, joined in a cosmic act of propagation, a sacred mating dance in the heart of heaven, the Pleroma (233.82). The two Aeons received from the supreme Aeon, the Originator, a formless potentiality to configure into a discrete evolutionary impulse. The Originator (Propater) is the hidden source of all novelty (monogenes, “singularity”) in the cosmos, but the Aeons, or Totalities of generative gods, give shape and intention to such novelties. (72.76-78). Christos and Sophia do so by imbuing their divine intent into the prototype of an emergent species, the Anthropos. In a sense, they are the divine parents of humanity, but they do not procreate the nascent species, they merely emanate it, working “in an imaginary way” (73.78). Two-parent procreation yields offspring physically removed from the parental source, but with the Aeons “begetting is like a process of extension,” not separation (71.72). 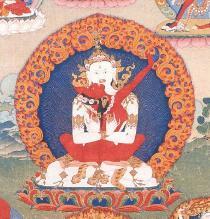 The nature of their union is emptiness and compassion, comparable to the dynamic of Tibetan deities in Tantric union, yab-yum. The Apocryphon of John calls the divine dyadic unit “the holy and perfect Mother-Father” (113.14), an exact translation of yab-yum. Gnostics rejected biological procreation as the expression of a lesser, extra-Pleromic deity, or pseudo-deity, the Demiurge. Their reasons for this heretical stance become clear as the sacred narrative unfolds. Once the nascent species has been configured, the entire company of Aeons project it from the Pleroma, the realm of infinite potential, into the Kenoma, the realm of deficiency or finite potential. There it will unfold by its own laws, seeding itself in worlds-in-the-making. Gnostic myth thus asserts the theory of panspermia, the seeding of planetary life from extra-planetary sources, initially proposed by Svante Arrhenius around 1910 and now widely accepted by astronomers and biologists. If Gaia is a panspermic laboratory, as Lynn Margulis and others have suggested, then the extra-terrestrial origin of the human species has been explained in the Mystery narrative. 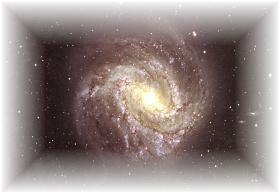 The Divine Sophia´s special involvement with humanity (the Anthropos) begins long before the earth exists. Looking out from the Pleroma, the goddess feels attracted by what this singular species might achieve, once it has a world to inhabit. In a manner similar to the Dreamtime ancestors of Australia, She dreams the formative outlines of such a world. She might be compared to a pregnant mother who lavishly imagines a life for her unborn child—but the biological analogy is misleading, for reasons already noted. Sophia did not conceive humanity with Christos by material, procreative union, but in an ecstatic, imaginative act: emanation, not creation. The generative force in cosmic emanation is bliss. Then the Aeon was compelled to wonder how this particular species will actualize its endowment of nous, divine intelligence. Her wondering about human potential aroused enthymesis, “burning passion, impetuosity,” in an extreme and unusual manner for an Aeon. The sacred story says that Sophia longed to merge into what She imagined, but she indulged this longing on her own, independent of another Aeon (110.9-10). A Valentinian Exposition says that “it is the will of the Originator not to allow anything to happen in the Pleroma apart from a syzygy, a coupling” (486.36). The Originator wishes that all activity in the Pleroma be accomplished by paired Aeons—observing the law of cosmic parity, as it were—but this is not a rigid rule, and it is not enforced. With the Sophia-Christos coupling that configured the Anthropos, cosmic law was observed. But exceptions are allowed, and the divine Sophia will be one. 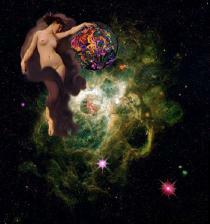 Compelled by burning desire, the goddess plunges from the cosmic center into the Kenoma, the chaos of material worlds. Her impact in the outer regions is sudden and immense, producing a shock wave that generates a bizarre species, the Archons. The Hypostasis of the Archons calls this violent eruption of alien life-forms an “abortion,” meaning a spontaneous miscarriage of divine power (167.94). This premature event presents a hugely problematic situation for Sophia, a situation in which humanity is deeply implicated even before it emerges from its larval state of pure, unexpressed potential. The Archons fabricate a virtual world or stereoma, modelled on the cosmic patterns in the Pleroma, but they do so mindlessly, drawing creative power from the goddess without knowing its source. In the sacred narrative of the Mysteries, our planetary system arises before the earth due to the premature action of an alien species. (Not surprizingly, this feature of the Sophia myth has been dubbed “theological science fiction” by one scholar, Richard Smith.) The chief of the Archons is Yaldaboath, the Demiurge, a demented pseudo-deity who takes himself for the supreme creator. “Because of the glory of the power he possessed from his Mother´s light, he called himself God” (111.12). Gnostics daringly identified the Demiurge with Jehovah and condemned the Biblical deity as a monstrous tyrant who works against humanity. This was, and still is, the central message of Gnostic heresy. The fallen goddess now finds herself in double trouble. Faced with the artificial world system of the Archons, Sophia is slowly metamorphosing from her Pleromic form into a dense material body. “The intensity of her divine light diminished” (111.13), but a celestial light comes to her aid. Nag Hammadi cosmologies describe a complex set of events in which the Aeon Sophia aligns her power with a newborn star that has emerged in the Kenoma, the chaos outside the galactic core where the Archons swarm. Unlike the Anthropos, the Archons have not been emanated from the Pleromic core. They are an extra-Pleromic aberration, the side-effect of Sophia´s fall. To help her manage these bizarre conditions, the goddess finds an ally in Sabaoth, the newborn sun, who is also a chaotic, extra-Pleromic entity like the Archons. The “repentence of Sabaoth” is a vivid cinematographic episode in the sacred narrative (174.103-104). On the Origin of the World recounts how Sophia, having strengthened herself by this alliance, confers unique power on the newborn sun: “Sophia poured upon Sabaoth a burst from her Divine Light for recognition of the condemnation of the Archon. When Sabaoth received this light, she also received great authority over the powers of Chaos” (175.103). Henceforth, Sophia will be bonded to the sun through her “flame-born daughter,” Zoe, deathless vitality (168.95-96). The “structural coupling” of sun and earth is an established concept in Gaia theory. You are mistaken, blind one. There is an immortal Child of Light who came into this realm before you and who will appear among your duplicate forms, in your simulated world. . . . Humanity exists, the root anthropos, and the offspring of the human strain exists. . . And in the consummation of all your works, its entire deficiency of truth will be revealed and dissolved by this luminous Child. Sophia declares that humanity will overcome the spell of the Archons, entities who can deviate human evolution in odd, undetectible ways. But humanity, the Pleromic emanation of novelty, needs a world to inhabit before it can evolve and assume its responsibilities in the cosmos. Normally, such a world would arise automatically by the laws of the Kenoma, the outer chaos. But the fall of goddess is a rare exception in cosmic order: The Divine Sophia morphs into the life-supporting planet that humanity will inhabit. The myth implies that the earth formed from the divine force of the fallen goddess does not belong to the planetary system, but is merely captured in it. Sophia´s epistrophe, Her conversion into the elements of the biosphere, does not survive in writings attributed to Gnostics, but only in the paraphrase of the Church Father, Irenaeus. Book IV of Against Heresies recounts how the goddess morphs into the planet earth, her emotions turning into the elements of the biosphere. Seemingly baffled and amazed by this development, Irenaeus says that Sophia must have been “compelled by love or audacious yearning.” Plunged into the material elements and immersed in sensuousness, the goddess is called prunikos, “outrageous,” and insultingly dubbed “the Whore of Wisdom” for this bizarre act of commingling. Such is the first half of the sacred biography of the Wisdom goddess. It explains how She who existed before the earth ever was, became the earth. The second part of Sophia´s biography concerns her correction, diorthosis, the process by which She becomes reintegrated with the Pleroma, the cosmic core of our galaxy. Although surviving Gnostic writings are not explicit on how correction works, they leave no doubt that humanity is deeply involved in this process: “And the luminous epinoia was hidden in Adam, in order that the Archons might not reach that power, but that the epinoia might be a correction to the deficiency of Sophia” (116.20). The Gnostic myth of the sacred earth is open-ended. Its conclusion has not been predetermined by the will of a higher being, but it can be affected by human willingness to embrace the plight of the Divine Sophia, and complete her cosmic adventure with Her. The story of Wisdom becoming Gaia is a redemption myth with a feminist spin, and much more. It is an ecofeminist fable of regeneration, and perhaps the ultimate survival myth for the human species.